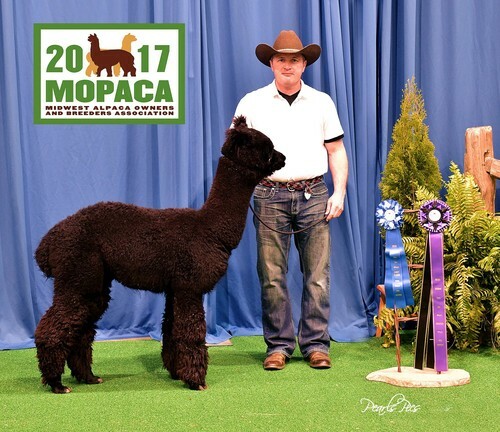 6x champion, including AOBA National Alpaca Show, Futurity, Buckeye, and MAPACA! AOA Color Champion in 2016 fleece and in 2017 Halter and Fleece! 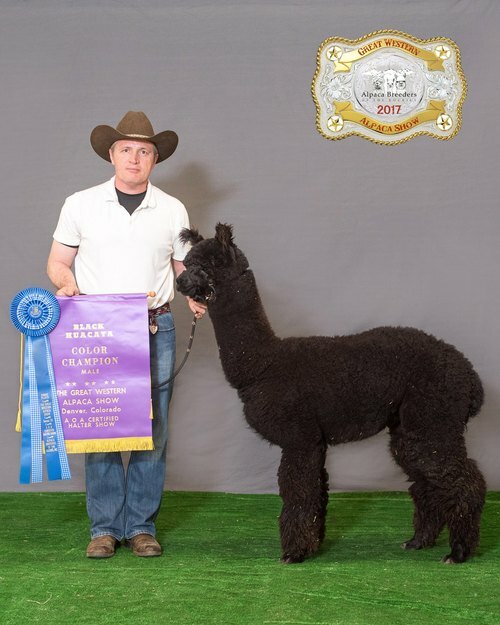 He has more wins that can be counted, but check his show results below to see his consistency! 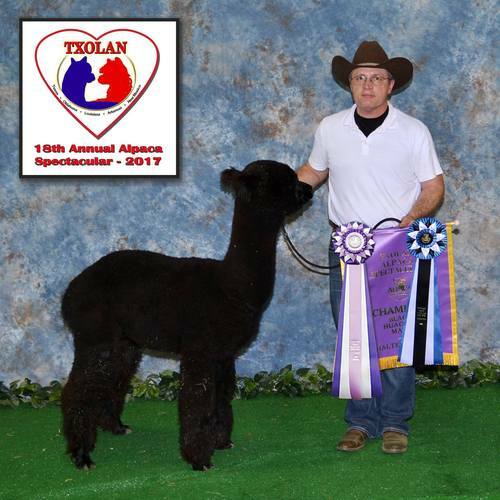 We had been looking for quite a while for that one special black male to add to our herd in complement to our Dark Secret / Black Maestrom line. Fate smiled on us when we saw Stradivaruius as a juvenile to add to our program. Even in his tui tips, when we saw this male, we knew he was the one and acted immediately. 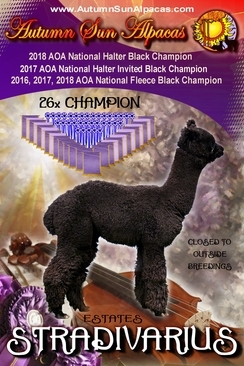 Though we knew he was exactly what we wanted for our black program, we could not help be pleased with the confirmation of our opinion by his exceptional show results. This year we are continuing to build on our black foundation with Maelstrom. Next year will be an exciting year -- witnessing Maelstrom's offspring and also the start of Stradivarious' breeding career. 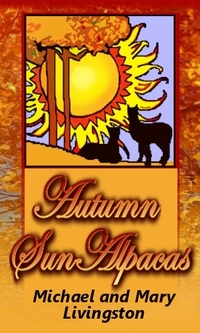 Patience and forethought is a virtue in alpaca show stock breeding programs! 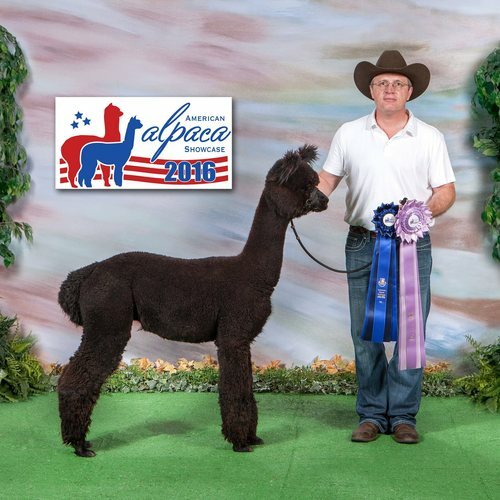 We thank everyone for their compliments, accolades and interest in Stradivarious for breedings. 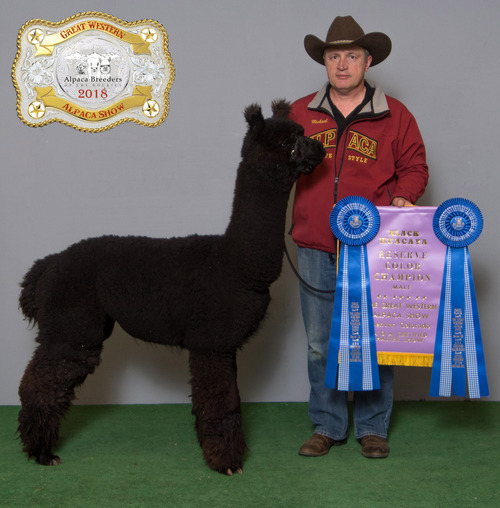 However, he is currently not open for stud and we are closed for outside breedings to him.